Current employment trends project a shortage of nurses and nursing faculty within the next 5 to 10 years. The median age of nurses is 46 years, with more than 50% of the nursing workforce close to retirement. America is seeing vast increases in the number of people older than 65 years. This age group has many medical and health needs and will put a strain on our health system. In addition, recent reforms in health care will give millions of people access to the health care system. More nurses and health professionals are needed in response. These factors, combined with an anticipated strengthening of the economy, will create a renewed critical shortage for nurses. In an effort to help the supply and demand, schools of nursing are embarking on a program to prepare additional professional nurses in a short amount of time. The Accelerated Second Degree Nursing Program is designed for individuals who have already earned a baccalaureate degree from a regionally or nationally accredited college or university. These programs can vary in structure; an example would be a full-time, 16-month program of study, including rigorous clinical experiences. The program spans 4 consecutive semesters (fall, spring, summer, and fall) and parallels the traditional 4-year program leading to a bachelor of science degree with a major in nursing. This program incorporates all of the components of a traditional bachelor of science in nursing program, including 21st century health care needs and environment. Upon completion of the program, graduates are eligible for licensure as a registered nurse and entry into professional nursing practice. The program focuses on clinical leadership, evidence-based nursing practice, and culturally relevant care using dynamic teaching-learning strategies, simulation, and virtual and standardized patients. This rigorous program offers students the advantage of practical experience in clinical, community, and global health. The diversity of backgrounds in students of this program is impressive. Graduate degrees have included public health science, master of business administration, social work, human resource development, and nutrition. Undergraduate degrees have included studio art, psychology, biological sciences, architecture, health science, communication, business management, science teaching, environmental policy analysis, human development and family studies, psychology, chemistry, biology, and computer engineering. A graduate in architecture stated, "Since entry into the Accelerated Nursing program, my perception of nursing has been refined. I knew that nursing required critical thinking skills but did not realize just how much this really applied until I was in the program. This program has allowed me to enhance my critical thinking skills that I will use as a nurse and allow me to perform at the highest level." So how can an accelerated second degree program benefit health care organizations looking to stem the tide of the coming nursing shortage? The program's design brings to it individuals who have a wealth of knowledge about real-life work experience. Most baccalaureate degree programs begin with students coming right out of high school, having only the knowledge of school experience to guide their actions. Accelerated second degree students typically have been working for a living and decided to shift gears to a profession that they had yet to actualize but feel drawn to. They may have worked in the service industry and see this as an opportunity to further that service more readily. They understand the rigors of the workforce, having just been a part of it. They start out at a more mature age by comparison with most baccalaureate students. 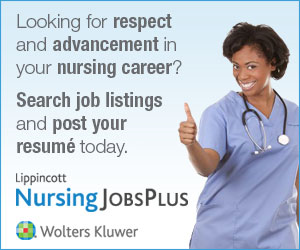 They also made a conscious effort to change their careers and further the profession of nursing as a whole. These factors can help to change nursing's outlook for not only a health care organization but also the community in general. Recent traditional baccalaureate graduates are typically faced with many perceptions that can undermine a nurse-patient relationship, such as age, experience, or professionalism. Accelerated second degree students can bypass that stigma and provide physicians, administrators, and the general public with an individual who can relate to their situation in a way many traditional students cannot: They have lived it. Many of the accelerated second degree students have spent their own time studying conditions that other members of their family may have had or that they experienced themselves, and this drew them to wanting to help others. There's a commitment there that goes beyond the traditional level you see with most baccalaureate-prepared nurses: a genuine commitment to excellence. We have had discussions with staff nurses and nurse managers where new graduates of the accelerated program are working, such as the emergency department and critical care units. They have noted a level of maturity and professionalism that this new nursing graduate brings to the unit. Some of the nurse managers are second degree students themselves, so they understand the thinking of this new graduate and how to successfully transition into the workforce. The accelerated second degree nurse brings many advantages as new graduates in critical care, as they bring sociology, health care policy, finance, and teaching experience to our units!!! By incorporating students from accelerated second degree programs, health care organizations will have individuals committed to servicing nursing, in any capacity they see fit. This can allow these organizations to have a partner whose longevity is more profound and encourage other nurses to further the profession at the bedside. In other words, these students are in it for the long haul. This may help to reduce some of the strain on health care organizations attempting to find a fix to the nursing shortage.